All of us here at The Lodge at Chaa Creek would like to wish our extended family, colleagues and many friends around the world all the best in the New Year. And, as we farewell 2017 and look forward to 2018, we thought a brief recap of this busy and rewarding year would be in order. January 2017 started off with the accent on luxury as we opened the new Ix Chel Rainforest Villas. With Chaa Creek’s range of accommodations running from the Macal River Camp’s more rustic casitas to the signature cottage collection and on to the beautifully appointed villas and suites, our indefatigable founding owners Mick and Lucy Fleming wanted to raise the bar by creating an oasis of unparalleled luxury in a pristine rainforest setting. Mick’s mandate that the villas be distinctly Belizean, Lucy’s finely tuned artistic sensibilities, and the couple’s commitment to sustainable tourism presented some challenges, but the results speak for themselves. As always, the goal has always been to co-exist with rather than “tame” nature, and the Ix Chel Villas seemed to grow organically on a lovely forested ridge atop a stunning jungle setting that’s private, yet convenient to the restaurant, infinity pool, Hilltop Spa and other amenities as the Flemings once again proved that luxury and environmentally friendly, responsible travel can go hand-in-hand. And just as the Villas were nearing completion, news came that Chaa Creek was shortlisted for one of the travel industry’s most prestigious awards – National Geographic’s World legacy Awards. So it was off to Berlin, where Chaa Creek took first place honours in the “Engaging Communities” category. Along with the welcome new air services came news that, once again this year, tourism arrivals in Belize increased during the first quarter, revealing a trend that continued throughout 2017. We also celebrated the 35th birthday of Chaa Creek Expeditions, the touring, transport and excursions wing that has grown to include eight comfortable air-conditioned vans driven by licenced naturalist guides who enjoy sharing their in-depth knowledge of Belize’s flora, fauna and cultural and natural history. The growth of Chaa Creek Expeditions helped cement our reputation as Belize’s most comprehensive Destination Management Company. With the wide range of accommodations, amenities and activities available within our 400-acre private nature reserve, as well as the extensive selection of all-inclusive Belize vacation packages, rainforest to reef packages with our Caribbean partner resorts, an extensive menu of tours and excursions including Maya and multicultural immersion expeditions, and much more, Chaa Creek has become recognised as Belize’s one-stop-shop DMC. During the year we also added some new tours and packages, such as the Caribbean Beach and Inland Luxury Adventure all-inclusive Belize vacation package, adding to the long list of options you can explore at your leisure on our website. 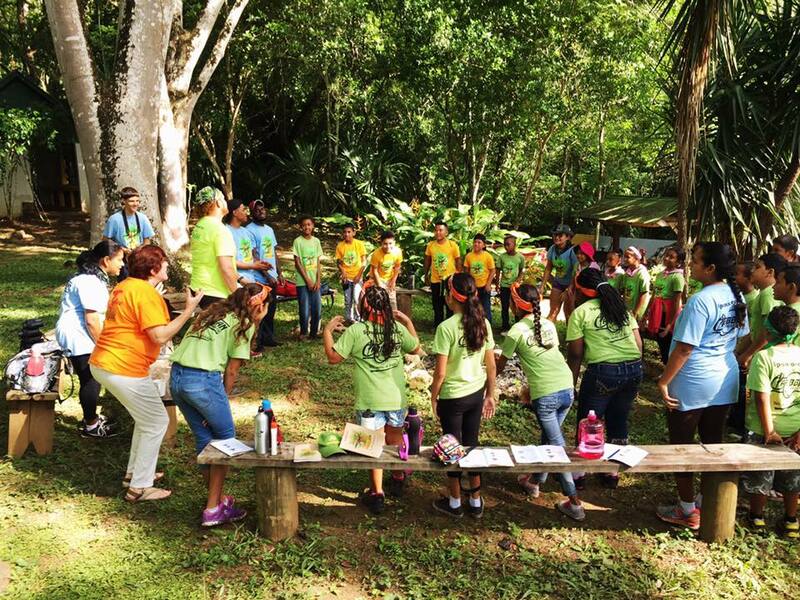 You’ll also be able to read about some of our projects under the Chaa Creek Cares initiative that sees 10% of all room revenue go directly towards environmental and community projects. As summer wound down we joined the rest of the country in the month long September celebrations surrounding Belizean Independence Day on September 21st with a cavalcade of parades, carnival, galas, awards and the exuberance that comes with celebrating one of the world’s newest, and most dynamic, countries. Belize and Chaa Creek flourished side by side as the world took notice of the planet’s second largest barrier reef sheltering a gorgeous Caribbean coastline, huge swaths of protected rainforest filled with exotic wildlife and ancient Maya temples, and the friendliest, most harmonious multicultural populace imaginable. 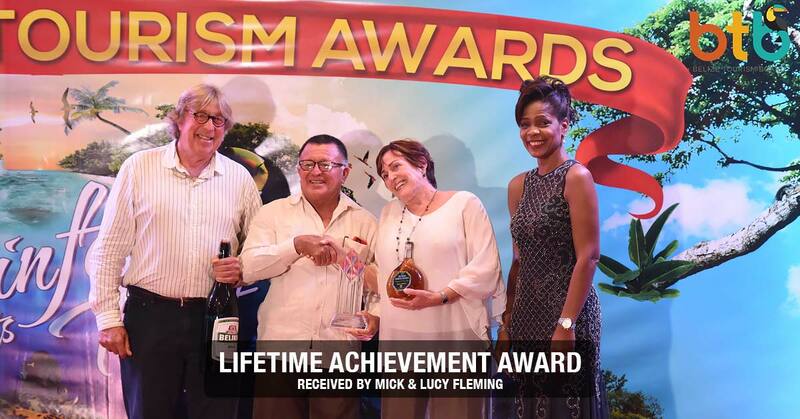 So maybe the announcement that Mick and Lucy were to be honoured by the Belize Tourism Board with a Lifetime Achievement Award shouldn’t have come as such a surprise. Considering how their enthusiasm, dedication, hard work and creativity helped shape Belize’s tourism industry, and made sure it evolved sustainably and with benefits to communities and people, it was no wonder that applause filled the venue as they accepted the award at the 15th annual Belize Tourism Industry Awards Gala held in October. And somehow there was still time to develop one more exciting new all-inclusive Belize vacation package before year’s end. 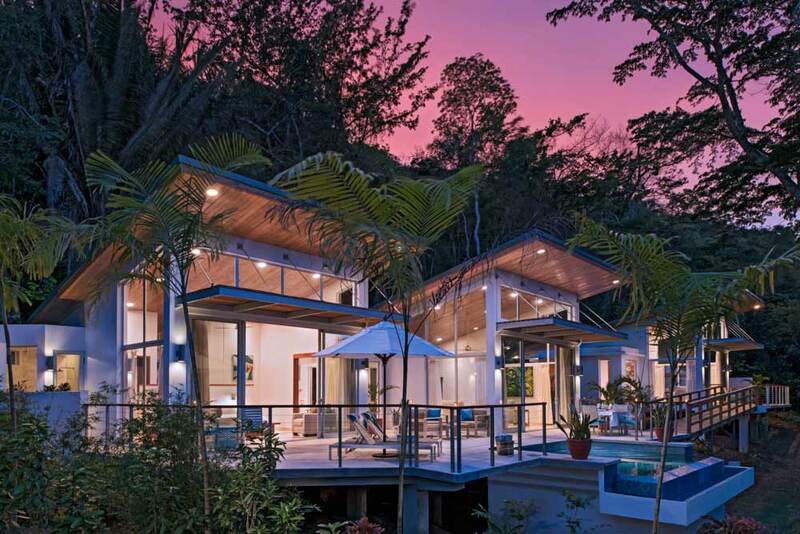 The Magnificent Villas and Magical Islands blends Belize’s most luxurious rainforest lodgings, Chaa Creek’s Ix Chel Luxury Rainforest Villas, with a fully crewed 50ft luxury catamaran to create the vacation experience of a lifetime. Going from the exquisitely appointed Ix Chel Villas to a private yacht with queen sized air-conditioned cabins complete with a dedicated captain, mate and chef, for four days and nights of swimming, snorkelling and sailing through some of the world’s most beautiful, comfortable cruising grounds may not spoil you for life, but it will definitely raise the standard for future vacations. Christmas was the usually wonderful combination of family and guests feasting, carolling and generally enjoying the holidays together, and was enriched this year by helping St Andrew’s Anglican School bring joy, food baskets and song to elderly and disadvantaged members of the community. And then it was on to shaking up the jungle with another exuberant New Years party. These are just some of the highpoints of a busy, fruitful and rewarding year here at Chaa Creek, and we want to close by sharing the biggest highlight of all with you. Chaa Creek’s Managing Director, and Mick and Lucy’s daughter, Bryony, and her husband Emil added a new member to the Chaa Creek family with the birth of Ian Michael – a very happy and healthy lad who has already fit right in, and it’s a good bet that he’ll soon be contributing to the family atmosphere that Chaa Creek is renowned for. As you see, it’s been quite a year! Visit us in person, or contact a member of our adventure, family, and romantic vacation teams to help you plan a Belizean vacation you’ll never forget.